Category: Time and Wages Recording. 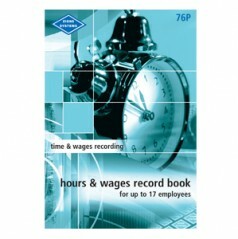 The sheets have provision for recording each day, the starting and stopping times, ordinary and overtime hours worked. 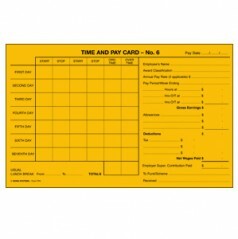 Columns are provided for allowances paid, tax and other deductions to give net wages. 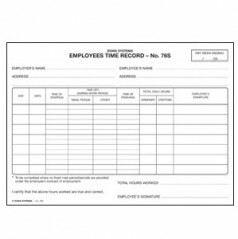 There is space for employees to sign for hours worked and receipt of pay. Provision also for recording employer superannuation contributions. 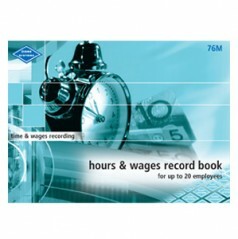 Designed for up to 6 employees, 16 lines to each page, laminated cover, wire stitched book, 27 pages (1 page per employee per quarter).